OXFORD, Miss.­­­ – If you are looking for a fun night out with the opportunity to use fresh ingredients and new spices to cook with the flair of Julia Child, mark your calendars for a variety of new cooking courses offered by the University of Mississippi Communiversity program this month. 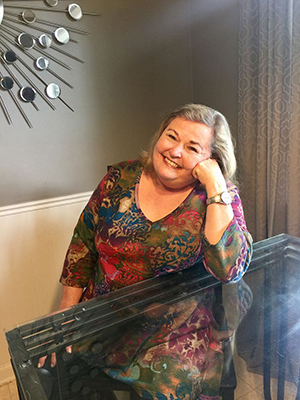 Award-winning French restaurant owner Judy Bogan will share her love and knowledge of French cuisine and the French language during a series of non-credit enrichment courses offered this spring through the University of Mississippi Communiversity program. Bogan lived in France for 10 years and opened restaurants around the U.S. Classes include a special Valentine's date night cooking class, French cuisine basics, a survival French language class for travelers, and "Cookies around the World" for kids 8-12. Judy Bogan, an acclaimed chef and restaurateur, will lead three cooking courses this spring focusing on French cuisine, plus a "crash course" on French language. "I want to show people that French cooking is not as unapproachable as some may think," Bogan said. "Some people think it's too fussy and has too many steps, but I want to show them how easy it is to make a delicious meal for your family and guests." Originally from Memphis, Bogan traveled to France after college in the 1970s as a Fulbright Scholar studying French. Soon after she arrived, she fell in love with the cuisine and with a chef from the French countryside. Five years after they married, they returned to the U.S. to raise their family. During that time, they opened the first restaurant in Memphis that featured French nouvelle cuisine with some of the lighter ingredients of posh French cooking at that time, including intense flavors and reductions. Throughout the next decade, the couple opened French-inspired restaurants around the country in Seaside, Florida; Aspen, Colorado; and in California wine country, several of which received culinary awards. "I had the opportunity to learn so many things about the restaurant business, but also the business of great cuisine during those years," Bogan recalled. She even met one of the pioneers of French cooking in the U.S., Julia Child, during a special seminar on culinary education in San Francisco. In 1991, Bogan moved back to France and taught English in a language school. "While in the country, I learned so much about classic French cooking from my mother-in-law," Bogan recalled. "Everything is about the freshest ingredients: vegetables, herbs and cuts of meat." This type of French cuisine developed because in the past, modest people in France had to learn to get creative with whatever they could find, Bogan said. They picked mushrooms and snails from the fields, grew their own vegetables and raised livestock. "Now, people all over the world want trained French chefs in their fine dining establishments," she said. "It's no longer a cuisine for the downtrodden, but for people who love a delicious meal." Bogan's first class, "Intro to French Cooking," runs 6-8 p.m. Tuesdays, Feb. 5, 12 and 19. "They (participants) don't even have to know how to cook," Bogan said. "You just have to like really good French food and be curious on how it all comes together for a spectacular meal." The class will focus on learning classic French dishes, cooking techniques, basic sauces and presentation to be able to whip up classic home-cooked dishes that Bogan says every French mother knows. 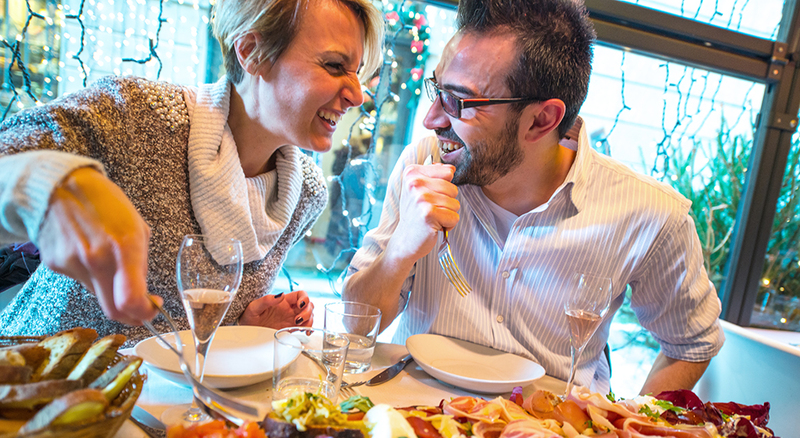 "Date Night in Paris" is another French cuisine course going on next month. Participants will learn to cook a four-course meal with an appetizer, hors d'oeuvres, main dish with meat and vegetable, and a classic French dessert. After cooking, participants will sit down and enjoy their meal. "We will make easy, approachable recipes with some flair," Bogan said. "And this can be a couple or friends that come. Everyone is welcome." The class is set for 5-8 p.m. Feb. 9 at the Oxford-University Depot. Later in the spring, Bogan plans to share her love of French pastries and delicacies with a younger crowd during a special class, "Cookies Around the World," for children ages 8 to 12. The class, which meets noon-4 p.m. March 16, will give students an opportunity to make a variety of cookies, including specialties from France, Ireland, Italy, Greece and the U.S.
And, for those who may be planning to experience authentic French cuisine in the near future through travel, Bogan is also leading a survival French language course on Wednesday evenings in March and April on the Ole Miss campus. "We are going to focus on talking and getting around in France," Bogan said. "We will go over language for asking for directions, dealing with transportation, shopping and, of course, eating in restaurants." The course will meet from 6 to 8 p.m. March, 6, 13 and 20, and April 3, 10 and 17. "I want to show busy moms and people who are just getting started cooking that they can use these tried-and-true French techniques and recipes to put a delicious meal on the table without a lot of work," Bogan said. The UM Communiversity programs are noncredit enrichment classes with no tests, papers or grades. The program is available to anyone in the community. For more details on these classes, including fees and registration, and to see the full spring 2019 Communiversity schedule, including popular classes on gardening, digital photography, CPR, Microsoft Excel and more, check out http://outreach.olemiss.edu/frenchcuisine or call 662-915-2666.